Establishing paternity when one parent is deceased is not impossible. If there are living siblings DNA testing can be done that that way. This is a guide about establishing paternity when a child's father is deceased. OK long story short. I have 2 sons by the same father; he was killed June 16, 2011. We had a son the was 4 months old and then I found out that I was pregnant with our 2nd son at his funeral. OK I receive benefits from SSDI for our first son, but how do I go about receiving it for the second? They keep telling me to have a blood test done, but between who if his father is buried and gone? One of his relatives, or with his brother. If your boys have the same 2 parents, it will show in the dna. if they don't, it will show in the dna. Is his name on the birth certificate? They may ask that too. I agree with both of the above answers. Good advice. What I don't agree with is that you should have to bear the expense. With no reason to lie on your part, the burden of proof should be on SS. If it's not too personal, would you mind sharing how you found out the good news at the father's funeral? I understand what likekinds is saying but, in my 4 years with Social Security, I do not remember them ever paying benefits where paternity was questioned and never once did SS pay for any DNA testing. The burden of proof was always on the parent/custodian/family. That may not be the case now or even in this particular case, so it seems that it would be worth trying. 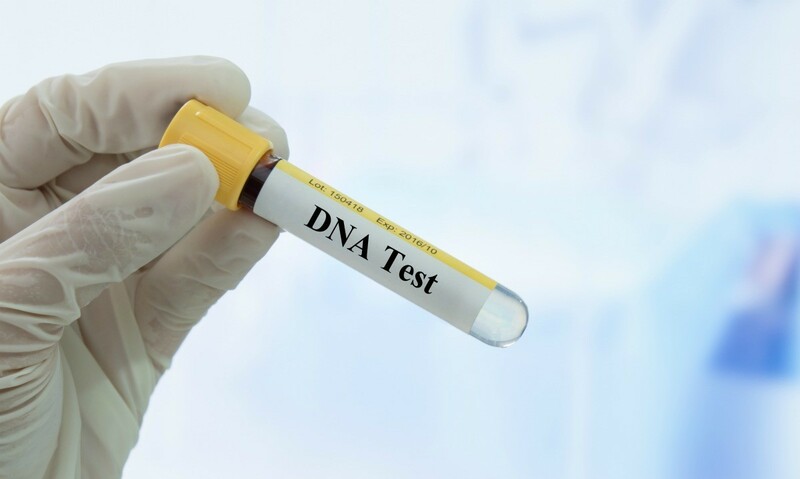 DNA from a family member, in relation to your son, should show sufficient evidence to satisfy the SS but you do not say that SS has turned you down or if they did, what reason are they giving? Also, you say that he died in 2011 so why the wait? Also, you say you receive SSDI benefits for your first son but why DDSI and not survivor benefits? Was your husband receiving benefits before he died? Sorry, I'm just one of those used to asking questions so please do not be offended. There may be DNA available from the coroner or other places you can use. You can also get a DNA test posthumously. You can also get DNA from his relatives. I think because the father acknowledged paternity of your first son, you could do a DNA test on your first son.